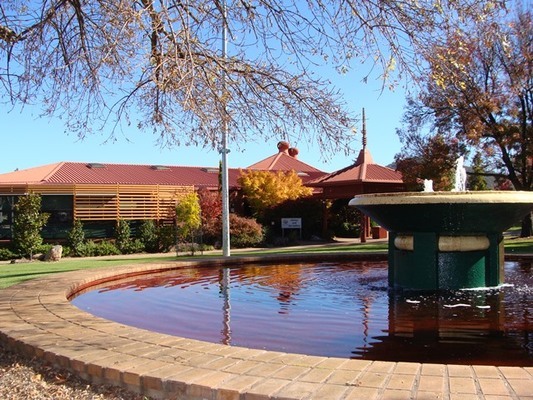 The Stanthorpe Regional Art Gallery (SRAG) will be staying where it is indefinitely after the federal government declined a funding application to build a new facility. Gallery director Mary Findlay told the Free Times she and the Southern Downs Regional Council’s gallery steering committee are “not discouraged” and will continue to seek other sources of funding for a potential new gallery in the future. “Stanthorpe Regional Art Gallery definitely needs more room but for the moment we are happy to stay in the lovely gallery at Weeroona Park,” Mary said. “A gem treasured by the local community, the gallery has had their support for a very long time. “Many interested folks have been asking the big question – is the gallery moving? “Late last year the council applied for the Federal Government’s Building Better Regions Funding Program (BBRF) to build a bespoke gallery in Stanthorpe. “Unfortunately the SDRC was not successful in its application. “Stanthorpe Regional Art Gallery is highly regarded and an important cultural asset for the region attracting 14,000 visitors in 2018. “This arts hub is ever increasing its public profile has increased its public programs by 80 per cent. “The gallery is part of the big picture of creative economies and underpinning and diversifying the economic base of our community. “So where to from now? “With an expansive and valuable collection the gallery is in great need of more space to have specific area to continually exhibit this wonderful collection and also exhibit local art and bring interesting and diverse exhibitions to the region. “The success of this project is not solely reliant on securing BBRF. “There are other sources of funding to explore from State and Federal governments. “SRAG and the SDRC steering committee are not discouraged. “The Southern Downs Regional Council will continue to seek alternative funding and grants for this important project. “The council has registered SRAG on the Australian Local Government Association’s National Register for Community Infrastructure. “The register assists with strengthening bids for Federal Government funding to assist councils to undertake important projects that meet community needs. “The expansion and upgrade of the gallery ensures its longevity for future generations and is a part of council’s long-term plan for the region which will support wellbeing of the community and also the diversification of our economy,” she said.